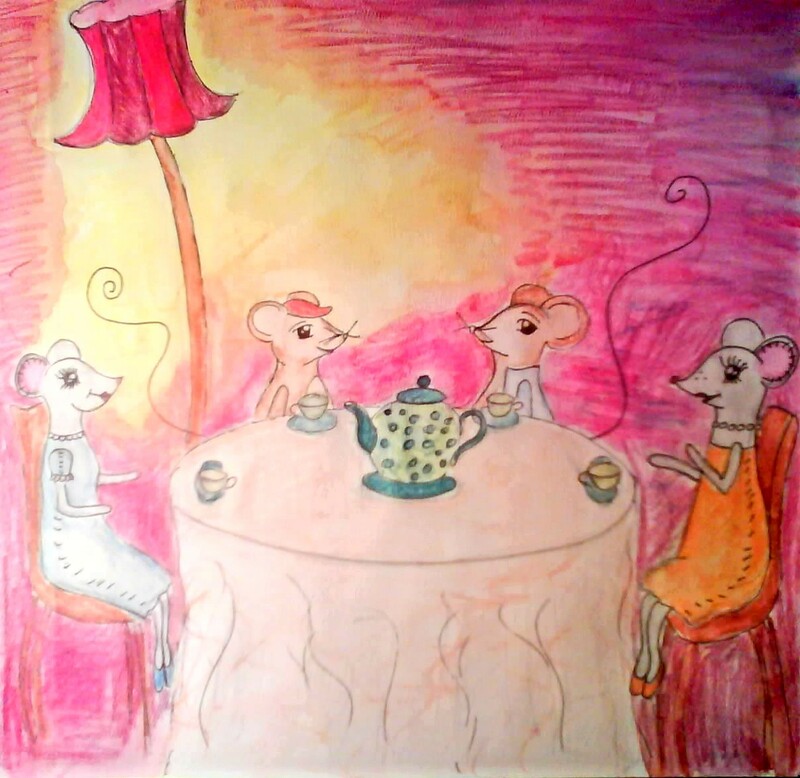 The Adventures of Maeve Queen: Mice to meet you! A little while ago I mentioned that I was illustrating a children's book for someone. Well I'm delighted to report that it seems one or two publishers are interested in it! All very tentative and nothing may yet happen but fingers crossed and raise your mugs to taking a chance! This is another of the illustrations so far - more still to be completed! 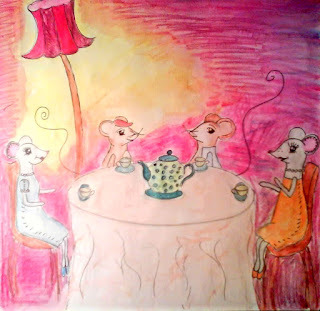 In the story the two main characters (the mice in the middle) bump into two pretty ladies... but unfortunately they turn out to be dolls belonging to the little girl of the house! They sit down and have a cup of tea anyway - which is what I'm going to do now! I hate when I meet people and they turn out to be dolls. I've known you for...how many years? And I have never, ever seen your illustrations. Maeve this is BEAUTIFUL! I can't wait to buy a copy of your soon-to-be-published (surely!) children's book!